Vincent Bridges is a well known author and researcher in the USA. He was featured on the History Channel's documentary Nostradamus: 500 Years Later which first aired in December 2003 as the on-camera tour guide and Historical Consultant. He was also the featured historian for the History Channel's Lost Book of Nostradamus (2007). Vincent Bridges is a world traveler, having organized and led tour groups to southern France, Egypt and India. He has produced his own translation of the I-Ching, and his Egyptology work is widely respected and quoted by scholars as diverse as John Major Jenkins, Moira Timms, and Daniel Colianus. 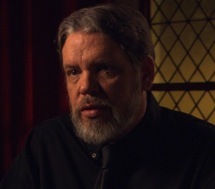 Vincent Bridges was also featured in The Learning Channel's documentary Atlantis in the Andes (June 2001). He has been instrumental in the creation of three schools or educational organizations, The Fifth Way Mystery School, The Newport Earth Institute in Newport, New Hampshire and Pendragon College. This book reveals one of Western occultism's deepest secrets: The alchemical transformation of base metal into gold is also the transformation of the current Iron Age into the Golden Age. Based on the work of the enigmatic 20th-century alchemist Fulcanelli, the book illustrates how the greatest alchemical secret is that of time itself and that coded into an obscure monument in the Basque country of southwestern France - the cross in the town square of Hendaye. The authors' explorations of this symbolism lead them from the cross of Hendaye in the Pyrenees, and the Gothic cathedrals of Europe, to ancient Egypt, the secret origins of Atlantis in Peru. In 1926, an enigmatic alchemist called Fulcanelli published a book called "Le Mystere des Cathedrales", or Mystery of the Cathedrals, which explains how Gothic cathedrals have hermetic and alchemical secrets encoded into their architecture and sculptures. In 1957, a second edition appeared, and included an extra chapter on the significance of a monument in the town of Hendaye in the Pyrenees. The monument - an engraved pedestal with a pillar and engraved cross - was built around 1680. The Mysteries of the Great Cross of Hendaye is a thorough exposition of the hidden meaning encoded into this Hendaye Cross. "Language, the instrument of the spirit, has a life of its own - even though it is only a reflection of the universal Idea." "Language," Fulcanelli tells us, "the instrument of the spirit, has a life of its own - even though it is only a reflection of the universal Idea." This Gnostic meta-linguistic mysticism is the core of illumination itself; the language of light emitted and received by the DNA may be the original of all languages, the ultimate language of initiation. Could the Ophanic be the "computer code" that unlocks the meme? On his website www.VincentBridges.com you can read many articles including subjects such as: Alchemy, John Dee, Sacred Geometry, Fulcaneli, Grail Legends, Nostradamus, Earth Mysteries and Ancient Egypt. Vincent Bridges is an authority on the English Alchemist John Dee. He will be giving numerous presentations at the Prague Easter event, espeically on the angelic writings of John Dee.